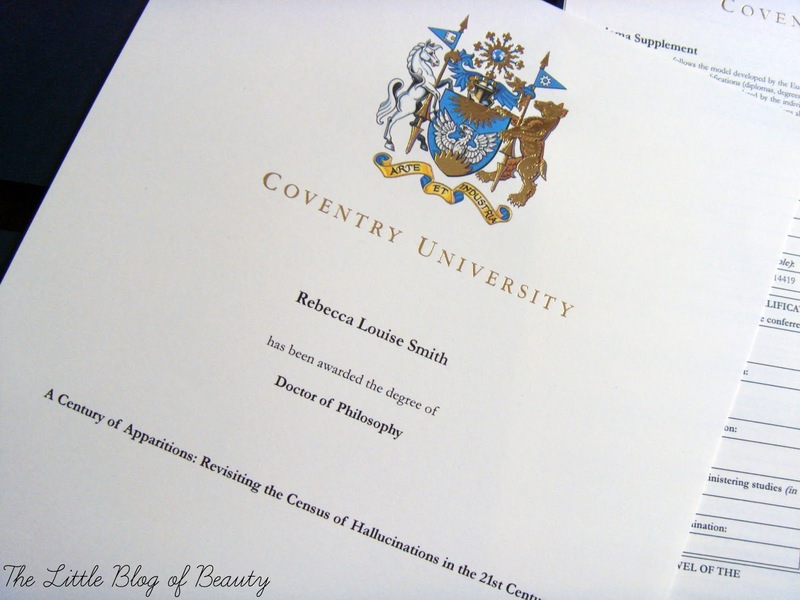 I don't think I've really done any personal posts before, apart from a couple about my work, but I thought I'd write a quick post to let my readers know that today I received a certificate from my University which confirms my PhD is finally complete and I'm now a Dr. It hasn't been easy at all, it's taken 4 years and cost around £12,000, which I didn't actually pay as I received a research grant from the Society for Psychical Research (SPR), but it's now complete. Unfortunately my University didn't particularly make it easy at all and have messed up pretty much consistently through the whole thing. The latest mess up being not actually inviting me to my own graduation ceremony. I did tell them when I handed in my thesis that I wasn't going to go, but that doesn't matter, I might have changed my mind and should have received an invite or notification. So I graduated on April 9th without even realising! I won't bore you with any further details, apart from that it's in Psychology (or more specifically Parapsychology) but if you'd like to know any more just let me know.